In 2019, the Institute of the Arts and Sciences will bring Futurefarmers to UC Santa Cruz to present Wandering Residency, the first phase of Fog Inquiry, a two-year project and periodic residency by this internationally renowned artist collaborative group. 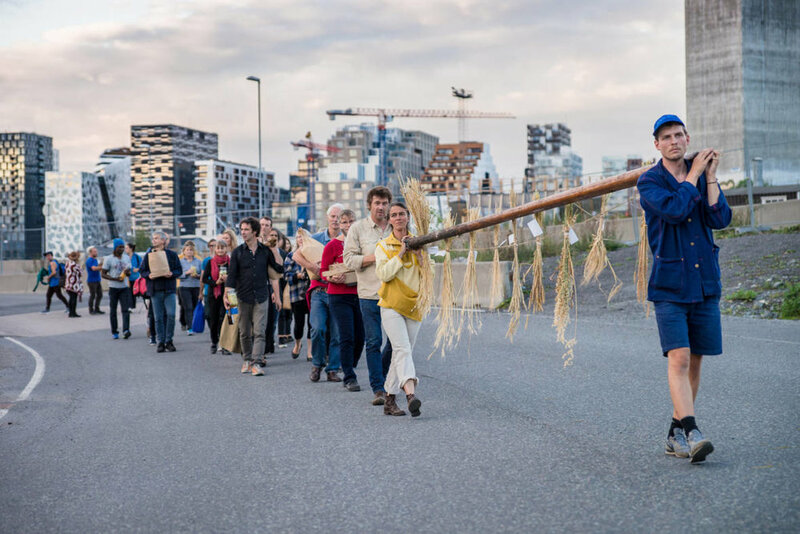 Based in San Francisco and Gent, Belgium, Futurefarmers includes artist Amy Franceschini, architect and philosopher Lode Vranken, artist and activist Marthe Van Dessel, and other periodic partners and collaborators. Futurefarmers’ works and public projects have been presented at important institutions across Europe and the United States. Futurefarmers’ project at UC Santa Cruz will investigate “the atmospheric phenomenon of fog as a conceptual framework to engage various fields of inquiry within the university setting.” Futurefarmers sees fog “as a state of being whereby hierarchies get troubled, perspectives shift, and new modes of thinking (and making) can emerge.” Over the course of their residency, Franceschini, Vranken, and Van Dessel will collaborate with faculty in the Arts, Sciences, and Social Sciences and engage with students in classes around this foggy concept. The first stage of the Wandering Residency will culminate with a public open house and pop-up exhibition in the Sesnon Faculty Gallery on Tuesday, January 22, 5-7 p.m., with the artists and their collaborators. Fog Inquiry will continue in 2020 with two additional “acts,” a Troubling Seminar, and then an Un-conference and final public manifestation of the residency. 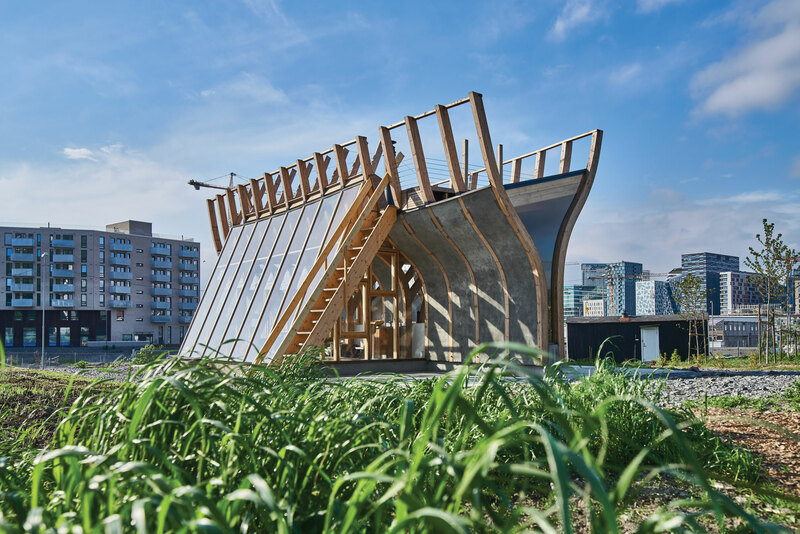 The deliberate openness and collaborative nature of Fog Inquiry draws on two decades of interdisciplinary public art projects by Futurefarmers that exemplify current ideals of social practice art. 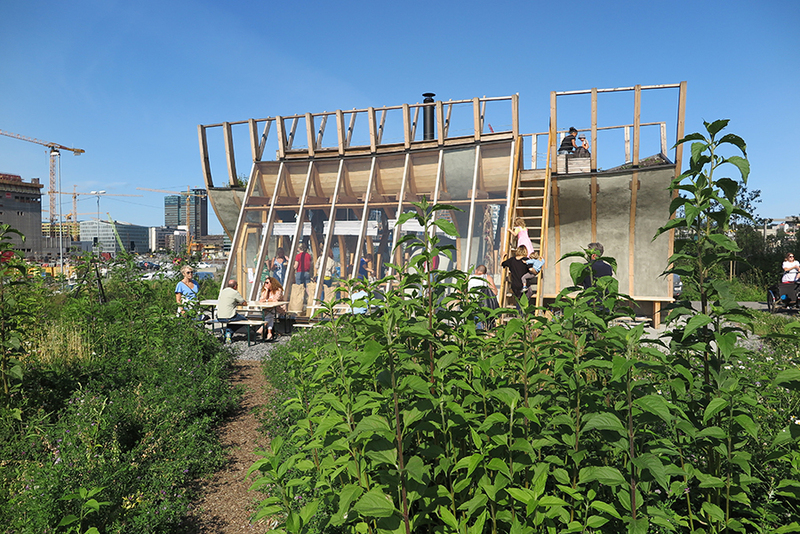 For example, in 2017 the group completed Flatbread Society, an ambitious, five-year, $1.7 million project for a major waterfront development in Oslo, Norway. Funded by the city, it encompassed the creation of an urban farm growing heirloom grain by a city-employed organic farmer; provision for individual organic gardening plots for residents; a series of public activities and programs; and the construction of a community flatbread bakehouse. The Flatbread Society bakehouse itself is an elegant structure designed by Futurefarmers to echo the maritime history of the city. Yet tellingly, it encourages social mixing of Oslo’s often separate ethnic communities by bringing them together to practice a shared tradition—the baking of bread in communal ovens—and its design deliberately offers bake ovens familiar to the city’s major recent immigrant groups. Although much of Futurefarmers practice focuses on social practice projects such as Fog Inquiry and Flatbread Society that occur outside traditional gallery spaces, the group has also shown in museums across Europe and the United States, including at the Whitney Museum of American Art, the New York Museum of Modern Art, Solomon R. Guggenheim, MAXXI in Rome, Italy, New York Hall of Sciences and the Walker Art Center. Group co-founder Amy Franceschini is a former Guggenheim Fellow and current Rome Prize winner. Futurefarmers’ Fog Inquiry for the IAS and UC Santa Cruz is supported by the Nion McEvoy Family Fund of the San Francisco Community Foundation, the Gurdon Woods Visiting Artist Fund established by Jock Reynolds, and annual donors to the Institute of the Arts and Sciences. Thanks also to the support of Office for Contemporary Art Norway as well as Ray and Robin Yeh-Green, patrons of domestic wellbring for the Wandering Residency.